- Plan Ahead. Make things easier for your tired future self by taking steps to prepare in advance. Ensure you have the resources you need ready, a checklist or brief, & an awesome playlist to keep you jamming until daybreak. - Set Yourself a Focused Task. If you don't have a fixed reason for staying up, trust me; you will have lost your way by 2am and will be idly surfing ASOS page by page. Clearly define what you need to achieve and keep bringing your mind back to why you're doing it, otherwise a desire to go to bed will override your efforts. - Look After Number 1. If you're hungry, eat something. Drink peppermint tea. Have eyedrops handy and do stretches. Treat yourself well, and this will help you stay motivated, as well as limiting the damage. - Take Breaks. The sooner you get it finished, the sooner you can go to sleep, right? In this sense, taking breaks may seem counter productive, but if you don't find those pauses then your productivity will slow almost to a halt. Break regularly to rehydrate and briefly reflect on how the task is going. This is a marathon not a sprint. - Recharge. Way to go, you made it through! Even if you can't rest right away, schedule in some recovery time as soon as you can and make sure you get some solid sleep in to restore the balance. C'mon, you earned it. - Forget About Morning. Arhhhhhhh, has the bright light of day illuminated a gollum-like shape hunched over your desk? That shape is you. You'll find that once you hit your stride, morning will really creep up on you. Have a plan in place for when the rest of the country is waking up; whether you allow yourself to hit some zzz's upon completion, or you need to face the day head on behind carefully placed sunglasses and a breakfast sub. - Overload On Caffeine. No, coffee will not help you do an all-nighter. Yes, it will help you (on a short-term basis) the next day. Use with caution, and stick with water or herbal tea until the morning after the night before. - e-mail In The Dead Of Night. Usually I'm staying up in order to submit something with a fixed time frame, meaning that once it's completed I just want to send it right away and hit the hay knowing it's sorted. This works if you finish the task at 7am, but if you're done by 3am, wait until a more human time to send it. Not only will this make you look like a normal functioning member of society, but it also pays to wait until a little more of your waking brain has been restored in order to check it over one last time. - Get Too Comfortable. Whilst I stand by the fact that you should take care of plucky all-nighter you, don't work in or on your bed, and don't use your breaks to snuggle into your duvet's soft caress. This is dancing with the devil in all-nighter terms, and not only will you probably fall asleep, but even if you don't, you may then struggle to nod off when you want to the most. It would be like returning to the scene of the crime. - Do Them Too Often. The rollover all-nighter is a recipe for disaster. It may seem tempting to just keep bashing something out at all hours until you can draw a line under it, but the effect it will have on your state of mind and productivity just makes it an inefficient working model. Save overnight energy for when you really need it. 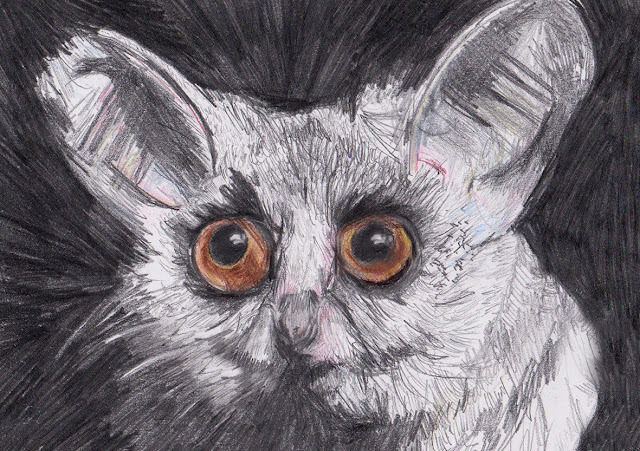 Above all, how vividly you can visualise the end goal will determine the success of your overnight endeavours, so make like the wide-eyed bush baby and let the light in. Even if it does burn a little.